More than 2.4 million trees will have to be cut down to build the new modern international airport in Nijgadh, Bara, which is expected to be the South Asia’s biggest airport in terms of area. The Environment and Social Impact Assessment (ESIA) report said this in its draft report on the construction of the Nijgadh international airport, planned at a site that is 175 kilometres south of Kathmandu. 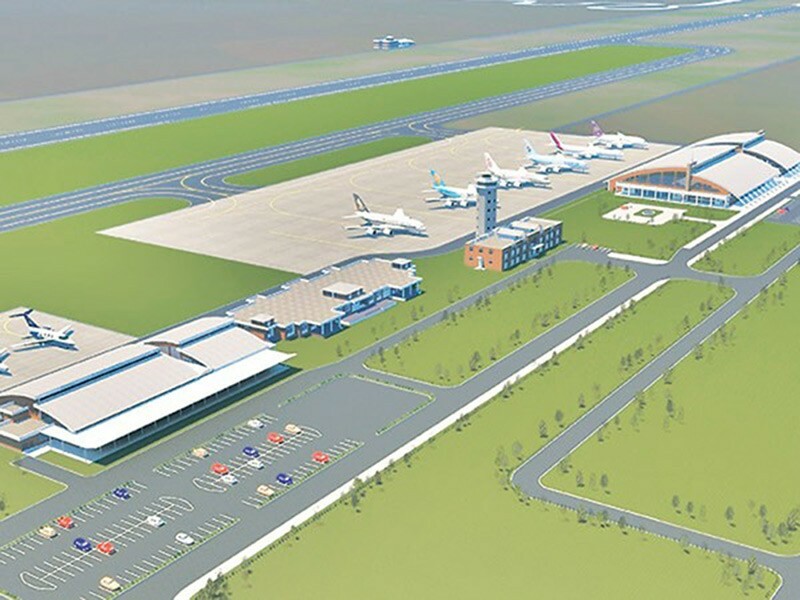 The airport, being considered as an alternative to the existing Tribhuvan International Airport, is planned for construction in around 8,000 hectares amid dense forest area. The first phase of construction, which includes a run-way, will cover around 1,000-2,000 hectares, which will be expanded gradually depending on the need. To mitigate the environmental damage, the ESIA report came up with an alternative plan that suggested the shift of construction site to southern side of the planned site, which has only fewer number of trees to be cut-down for construction, said Hari Adhikari, chief of the project. According to the officials, revenue from the sale of trees in the area will make up half of the construction cost. Shorea robusta trees, also known as Sal or Sakhua, cover 90 percent of the project area. Meanwhile, the Forest Ministry has asked the Tourism Ministry to prepare an economic valuation on the impact of the construction project on biodiversity and an action plan on the types of samplings to be planted at the site. The project has also identified 1,476 squatters in Tangia Basti who need to be relocated. Adhikari informed that a public hearing will be held after ESIA, and the final project report with public comments and grievances addressed, will be released by April 2018.